Tucked into the verdant Salzach Valley, not far from Salzburg, is the pretty alpine village of Werfen. 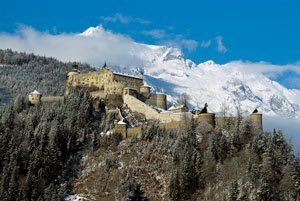 A fairytale town in a fairytale setting, it wouldn’t be complete without the impressive Hohenwerfen Castle that overlooks it from an imposing position. From here, you survey an alpine wonderland of pastures and forest that is transformed into white finery in winter. Other attractions of the area include the Eisriesenwelt – the world’s largest ice cave – and the Obauer, a celebrated two-Michelin Star restaurant that draws visitors from across Austria, and indeed far beyond it. For food enthusiasts, the Obauer is a must-experience destination in Austria, laden as it is with distinctions, awards and effusive diner reviews. Named after and run by the Obauer brothers, Karl and Rudi, the restaurant celebrates local produce and traditions, but does so at an internationally high level. The brothers had earned their stripes across the continent before setting up for themselves in 1979, with Rudi learning his trade in France alongside such culinary masters as Emile Jung, Alain Chapel and the Trosgros brothers. 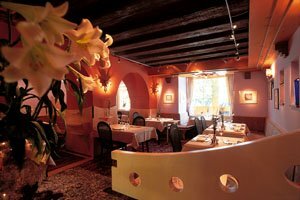 The approach and technical mastery may be of international standard, but the cuisine enjoyed at the Obauer is inspired by local culinary traditions and the fresh local produce of this bountiful region. The brothers grow their own herbs and know the farmers they source their fruit, vegetables and meat from. Their connection to this land is strong and it shows in such celebrated signature dishes as trout strudel, Werfen lamb and cream cheese lemon mousse. This local affinity gives the Obauer a clear identity, but it doesn’t prevent Karl and Rudi from experimenting and developing both their skills and their menu. The result is a typically low-key but highly distinguished dining experience that draws the foodies from Vienna, Munich, Switzerland and even further a field. When the weather permits, the touches of heaven produced by these leading Austrian chefs can also be enjoyed al fresco, in the wonderful surroundings of alpine natural abundance. Sitting here on a sunny day, with greenery all around, snow glistening on the mountains tops, and the church bell of an ancient village gently ringing, you would get an experience of Austria that is to be savoured and remembered. This entry was posted on Monday, August 22nd, 2011 at 2:29 pm	and is filed under Food & drink, Interviews, Travel. You can follow any responses to this entry through the RSS 2.0 feed. Both comments and pings are currently closed.